We all know the importance of setting goals. It has been proven as one of the most effective ways of turning a vision into reality, as an individual or as an organization. 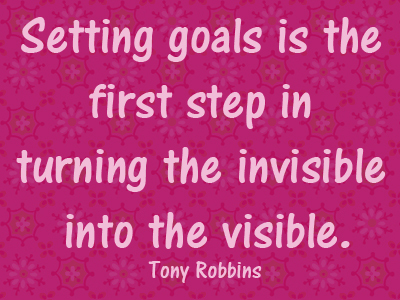 Goal setting is effective for planning and good for focus. It helps us regain and stay in control, especially at difficult moments when we veer completely off path. However, as I grow professionally, I have come to understand that setting a goal, a “SMART” and sometimes ambitious one at that, is quite easy, but difficult to achieve. Some of us already have our short and long-term goals but incase you haven’t, It is time to define one and write it down also. 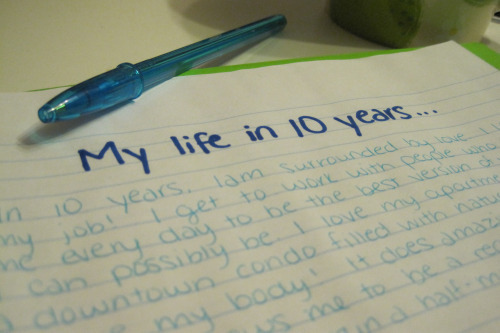 Experts have said that goals that are defined and written down are more likely to be accomplished. As you write down your goals, think about what you need to do each day in order to achieve your long and short –term goals i.e. have daily, mini-goals as well. While this may not be clear at the initial point of defining the audacious goal, make it a habit to define your mini goals for each day and make sure it connects with the overall goal you have initially defined and set out to achieve. Trust me, this works! It does because I have done it and I still do. I always have a sticky-note pasted by my bedside with at least one goal written on it. It serves as a reminder every time I wake up and helps me to include it in my daily plans. I have been able to achieve major milestones with every goal I set and stuck up in places where my eyes cannot escape but see them. Try this, if you are not already, and experience the magic of such practice in achieving your goals. Iterate your plans, not the goal. This is why you need to be deliberate as you set a goal. Your goal should have a genuine purpose behind it, which will be your drive when you find yourself in challenging situations. Once set, your plans are what you need to focus on from there on. Change is inevitable as you already know but as it comes, let it affect only your plans and not the ultimate goal you have set out to achieve. Be flexible with your plans for achieving a goal but let the drive stay the same. As the popular saying goes,” if the plan isn’t working, change the plan but NEVER the goal”. No goal is unachievable, you just need patience or little tweaks sometimes to your initial plan. The fact that you couldn’t achieve your last goal doesn’t mean you should give up on your next. Only learn what didn’t work or why you couldn’t achieve the initial goal as defined and be determined to make amends. Learn to forgive yourself, as this is necessary to fully concentrate on defining a new, genuine purpose-driven goal. If you failed on your day’s goal, remember you still have a week. If you failed on a week’s goal, a month has 4 weeks in it and if it is a year’s goal you couldn’t accomplish, remember you have the 1st of January of a new year to try again. If you want to achieve your every goal, develop the habit of forgiving yourself and proceed with same or new goals every time you fail, till you see the outcome you desire. Even when I sometimes find this hard to do personally as I just want to go ahead with the next goal, I’ve discovered it is good to celebrate the achievement of even the smallest of goals because of its influence on the next goal going forward. Celebrating every milestone doesn’t have to be in an elaborate way. For me, ticking off achieved goals for the day gives me a good feeling inside and makes me look forward to the next day with no pressure whatsoever. Sometimes unwinding with friends and dishing out lessons learnt does it for me and makes me want to look forward to a new goal. I agree these might not equate to what you call “celebration”, but you get the point. An author by the name Sylvia Daines once wrote in her book titled ‘You have set a goal, Now what?’ that “the more you celebrate your little successes, the more successful you will become and the more your journey of achieving big goals will be enjoyed”. Celebrate every achieved goal, whether minor or big and do it in a way that helps you unwind, as well as, prepare you for your next goal. As we set out to accomplish our goals for the week, lets have these 5 steps in mind and practice them as the situation demands. With our minds made up, I believe there is never a goal too big to achieve. Have an awesome week!